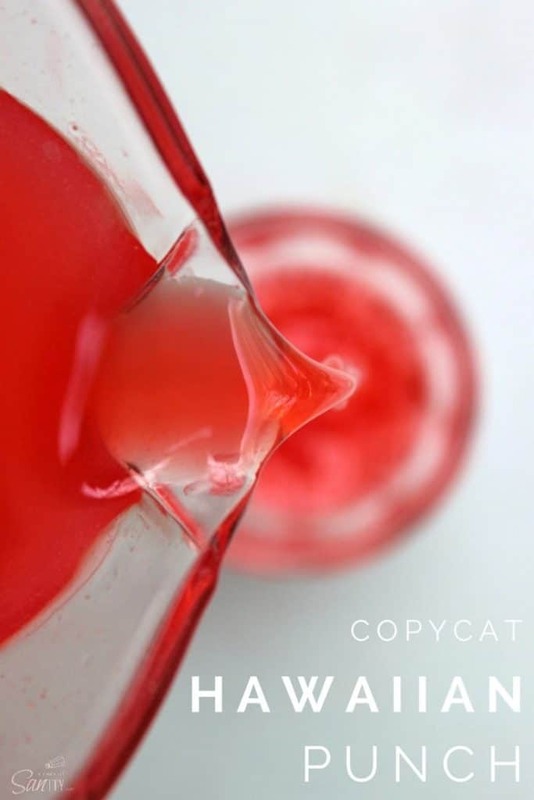 Copycat Hawaiian Punch a classic summer drink recipe that is easy to make with a variety of juice & nectars; and the red food coloring is optional. This recipe for Copycat Hawaiian Punch brings back childhood memories of me at the pool with a red-stained smile on my face. What is great about this recipe, you don’t have to have the red stained smile to be happy. Fruity drinks and sherbert punches are always a spring and summer must-have. These”fancy” drinks as my kids refer to them always make for a beautiful center piece. 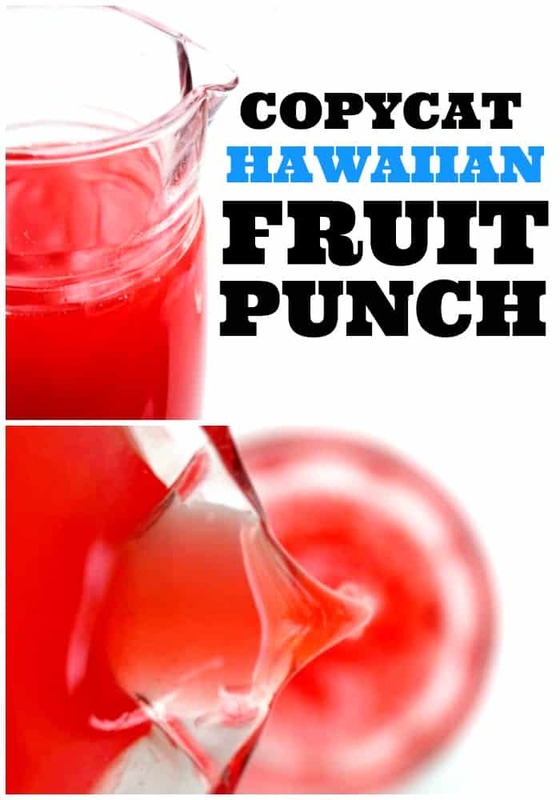 There are so many things going on the in summer from parties, showers, barbecues, get-togethers and well, lemonade or fruit punch stands that it is nice to have a fun drink recipe on hand like this Copycat Hawaiian Punch. There are two things that I remember about Hawaiian Punch. First is the board game. Does anyone else remember that? The second is having this classic summer drink at the pool with my mom and siblings. My sister Tami always had the biggest red-stained smile from the amount of Hawaiin Punch she drank. I honestly feel like she did this on purpose to upset my mom. Lol. I hadn’t had Hawaiian Punch in a long time, honestly since my childhood until I had kids. I wanted to create that same fun, red-stained smiles. There was only one issue I wanted to know what was in their drinks and I wanted to be able to make them myself. In addition, I wanted the option for no red-food coloring. At the risk of stained carpet or even just being nice to leave food coloring out overall. This recipe literally tastes just like the original and even better!!! It stays well in the fridge for 3 days – and the kids will love this. Fun to serve this just as is, no food coloring and adding a scope of raspberry sherbet – this makes a great punch. This recipe for Copycat Hawaiian Punch is my new summer to-go-to drink and thrilled that my family hasn’t got sick of it yet. I am excited to try to find that board game now, I am sure I’ll find it and excited to share it with my kids. So this summer try this Copycat Hawaiian Punch and create those same fun memories you had as a child. Enjoy! 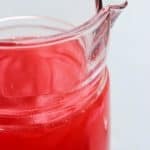 My favorite kitchen items I used to make this recipe for Copycat Hawaiian Punch. Pyrex Glass Measuring Cup: I use this for so many of my recipes, great to measure with anything liquid. 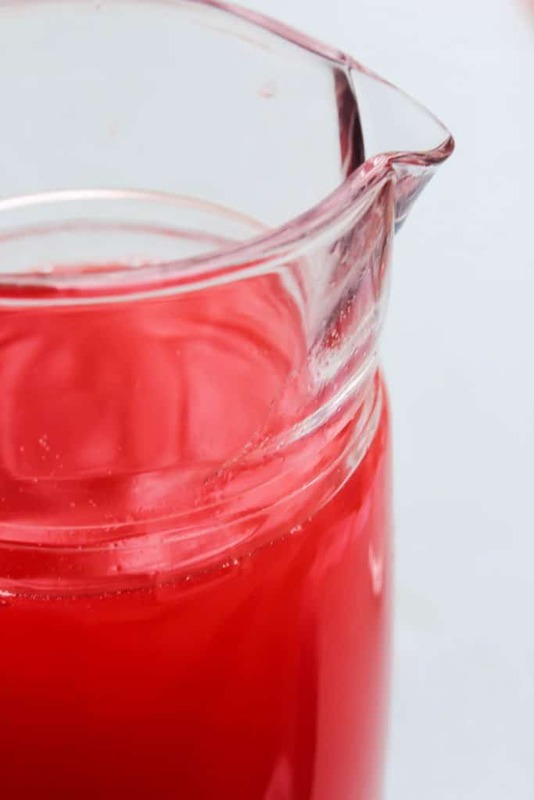 Pitcher: I prefer a nice glass on for this recipe because the punch is so beautiful. Don’t forget to pin this Copycat Hawaiian Punch recipe to your favorite Pinterest board for later. Combine all of the ingredients into a 64 ounce pitcher and whisk together until sugar is dissolved. Refrigerate until cold, then serve. Oh, yes it is that easy folks. This recipe taste best when chilled, trust me we know. You know I am SO going to try this Sandra! Hawaiian Punch is my favorite! Pinned! 2 Tablespoons of orange juice hardly seems worth the trouble , so I was just wondering, is the OJ supposed to be frozen OJ concentrate? If you tell me “No” , I’ll take your word for it and use the 2tbs. Measurement as directed. Oh, one more thing , does it need to be fresh OJ, canned or what?? This. Is. AWESOME. I’m totally all over this copycat Hawaiian punch recipe! I don’t remember the board game! I loved the commercials. This is a great throwback to childhood. I do also love Hawaiian punch! This is wonderful! 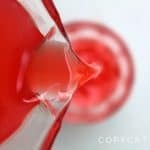 I just made an adult cocktail that uses Hawaiian punch, I’d love to link to your recipe for the homemade version. The Kerns Nectars appear to have high fructose corn syrup in them. Do you know of another brand or substitution so I can avoid this ingredient? Looks like the perfect drink all summer long. Looks delicious and refreshing on a hot summer day! Love the video too, great job! It’s definitely perfect for the summer! Thank you, enjoy! It’s my childhood in a pitcher! I love knowing exactly what goes in this! Can’t wait to whip this for my crew. Isn’t it great?! Hope you all enjoy! I need to try this recipe! You totally should, hope you enjoy it! This recipe is bringing back my childhood! Thank you for sharing! What a blast from the past! I’d love to share this drink with my kids! I’m sure they’d love it, enjoy! Easy and delicious! I love this drink!